LILLINGTON, NC (WTVD) -- Harnett County deputy Cpl. Eric Cook, who was shot recently, is recovering at home. On Monday in Lillington, Cook's wife, Melissa, shared more details about his progress. She said Cook is making a remarkable recovery. Meanwhile, Sheriff Wayne Coats said he is still thinking about that phone call. "It was the most sickening phone call I've had since I've been sheriff," Coats said. "When you get that call that your officer has been shot. And the drive to the hospital was his longest drive ever. 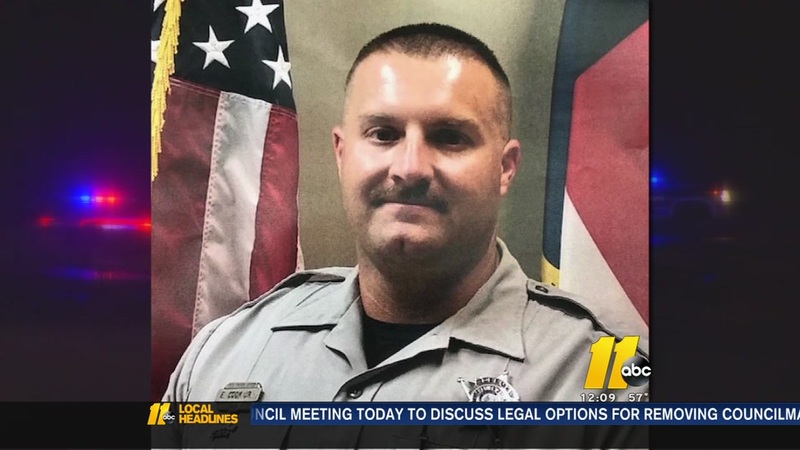 A Harnett County deputy who was shot in the face and chest has been removed from the ICU and will undergo several surgeries this week. "That uniform covered in blood and that badge covered in blood, and as I rounded the corner, I felt even better because I got to see Eric and knew he was alive and that was a little bit of a relief from what I was expecting," Coats said. Cook's recovery is exceeding expectations. Just two weeks after being shot in the face, Cook is home with his family, and even with a mouth wired shut, he's already talking about his plans for the future. 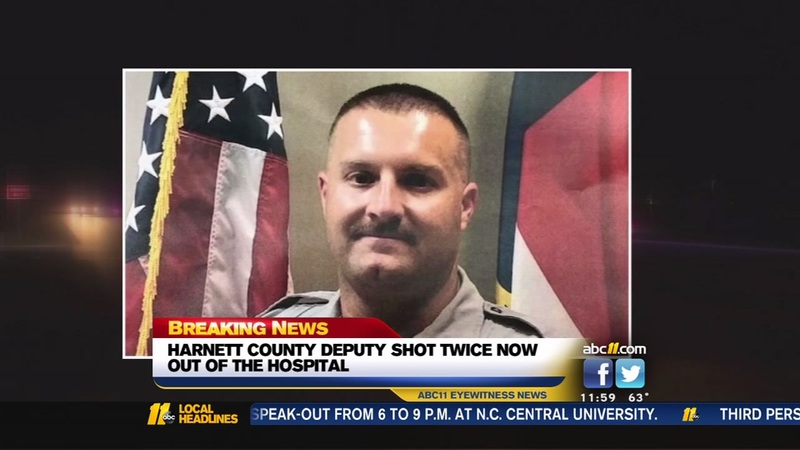 A Harnett County deputy who was shot in the face and chest has been discharged from the hospital. "He told me that night that he was shot that, 'Sheriff, I'm ready to come back to work,'" Coats recalled. The teen suspect in the shooting faces new gun charges. Deputies said 16-year-old Mario Garza stole the .45 used to shoot Cook from his parents. A Harnett County Sheriff's deputy who was injured in the line of duty is now out of intensive care. It's going to be a long road to recovery for Corp. Eric Cook. 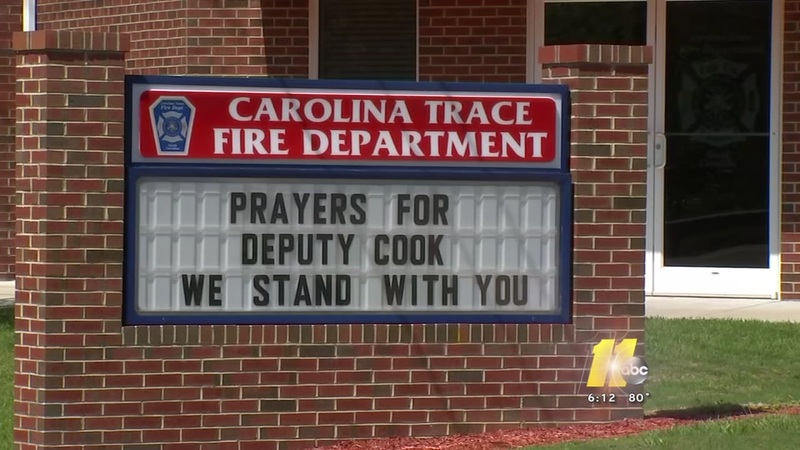 His family told ABC11 that Cook had his first of several surgeries Wednesday. This incident could have been so much worse for our family if not for the grace and mercy of God," Melissa Cook said. "In this fight," she said, "no one fights alone."